I Just Saw "Love, Simon" and You Should Too. Here's Why. I saw “Love, Simon” last night and I just woke up still thinking about it. It was so great! I left the theater texting my parents and my friends saying “you need to go see this movie” and it’s true-- I really do want people to go out and see it. It was such a good movie for many reasons. It was funny, clever, but above all else, it was a gay movie I could finally relate to. 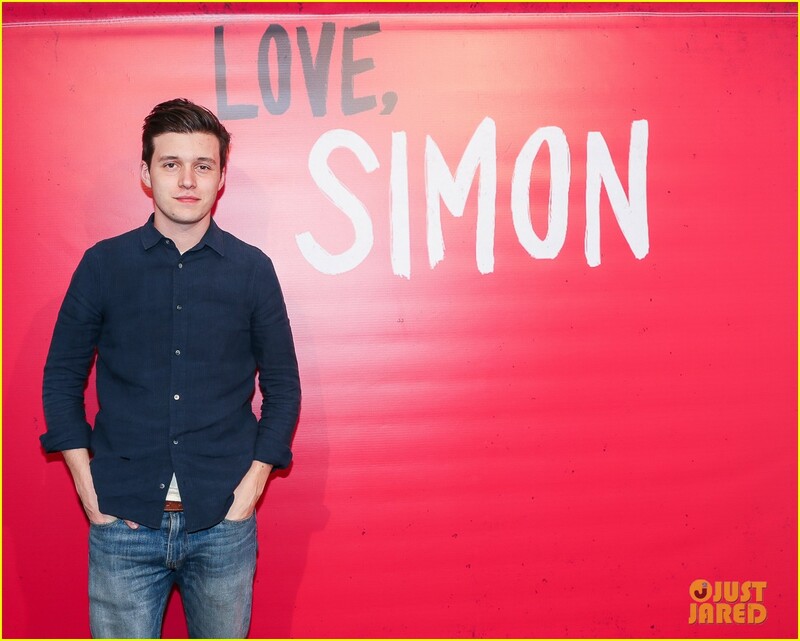 I left the movie feeling like that was the first time I had ever seen a gay character played the way Simon was played by Nick Robinson. That thought kind of made me go deep into the “why” of that. What was it about this character that I identified with so strongly? And why did I feel like this was the first time I was seeing it in a movie. In my own life and journey as a gay person, I have rarely found gay characters in movies or shows that I’ve related to. It’s been different with music-- I love many gay musicians. I love that introspective look at their experiences and their feelings through music. But typically, movies and shows focused on gay characters are lost on me. The first times I was noticing gay characters in TV and movies as a teenager were people like Damien in Mean Girls, and Kurt in Glee. And I remember each 2000s reality show having an episode where someone comes out to their mom. I rarely really related to these characters. More recently, I’ve been more exposed to the "Drag Races" and the "Queer Eyes" of the world, and I’ve been entertained by them, and at times even empowered by them, but I still have felt like there’s something missing in the way the characters are represented. When reflecting on the gay media that I’ve seen in my life, I can’t help but to still feel unsatisfied with what’s out there. I’ve found more luck recently, which is fantastic. I could not be more obsessed with Queer Eye. And right now I’m also really into designer Nate Berkus and his husband, Jeremiah Brent who have a show called “Nate and Jeremiah” by design where they go and do home makeovers on TLC. I do think those shows are super empowering and great. But “Love, Simon” proved that gay stories don’t have to always be shown like they are in the shows I’ve been exposed to. That sometimes gay people are just gay people who want to live their lives. That sometimes being gay is just a part of you that is just a part of you, and it doesn’t have to be the whole reason the story is written. Gay people don’t always have to be victims, or outsiders, or freaks, or rebels. Sometimes the gay kid is just a kid at school who has some friends and a family and a cool jacket and an old Subaru. I don’t always love the way gay people are portrayed on TV and Movies. In most of the stories I’ve seen about gay people, they are portrayed as entertainers who are there to make the audience laugh. Or they are purely victims and they spend their life fearful of bullying or violence and the story doesn't go beyond that. The one that really gets me is when gay people are just portrayed as service people who are only put there to improve the lives of the straight characters. This happens in a lot of shows I watch. Again-- I love “Queer Eye.” It’s simply the most empowering LGBT show I’ve seen. But even in this show, the role of the Fab 5 is to go around and improve the lives of straight people. I don't think it should have to be like that. "Love, Simon" features a character who takes control of his own life and his own story. I love that. And after seeing it last night, I really felt like it was the first time I had seen a gay character with that strong of a backbone. When people messed with him or tried to tell his story, he got in their face. He said what he needed to say and he got stuff done when he needed to. I left feeling so empowered to take even more control of my own story. I have seen these qualities in gay people in the media before, please don’t get me wrong. But the fictional movies and stories I’ve seen about the gay experience have not been like this. I really loved the way they wrote this character. And I loved the way that Nick Robinson played it. This is the kind of movie I wish I had seen as a teenager-- It would have really shown me a different perspective and I think I would have been stronger about the way I thought about myself.